Barkzilla: A Savvy NYC Dog Blog: What's in a Barkista's bag? Thanks for sharing your favorite items. We just started making a packing list for Gus and we didn't think of grooming wipes - we definitely need to add that to our list. 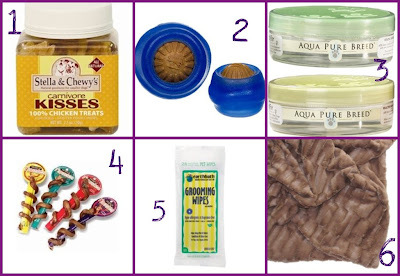 Besides the essentials (water, treats, etc...), Musher's Secret is our new must-have item. It's so great for his paw pads when we're walking/hiking!